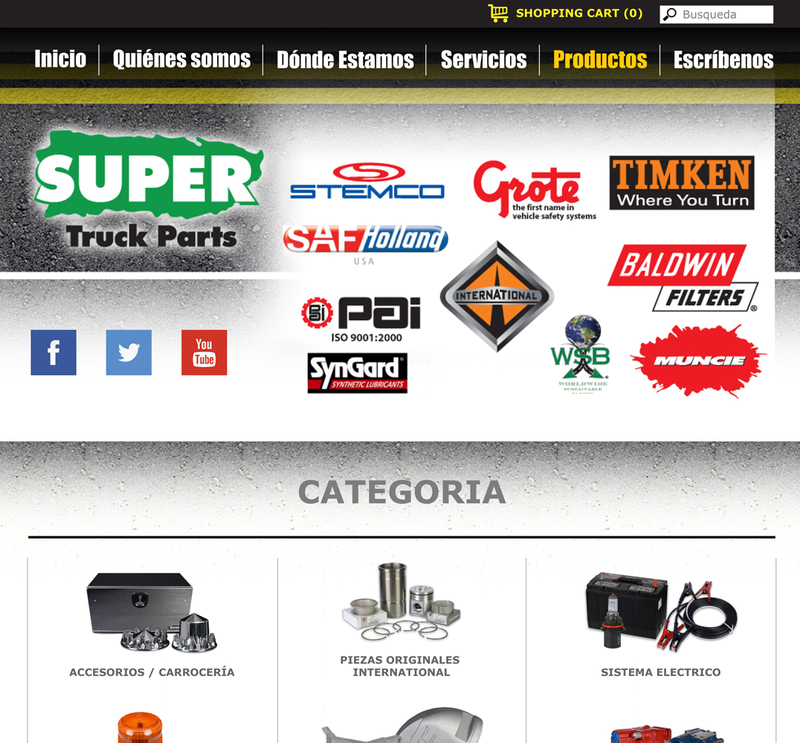 Super Truck Parts is a thriving local business which also boasts a firm presence in the Greater Caribbean area. After almost 50 years of serving the island’s engine parts and trucking needs, this is a client whose traditional ways have been successfully steered to enter the digital world with a presence as solid as its reputation. 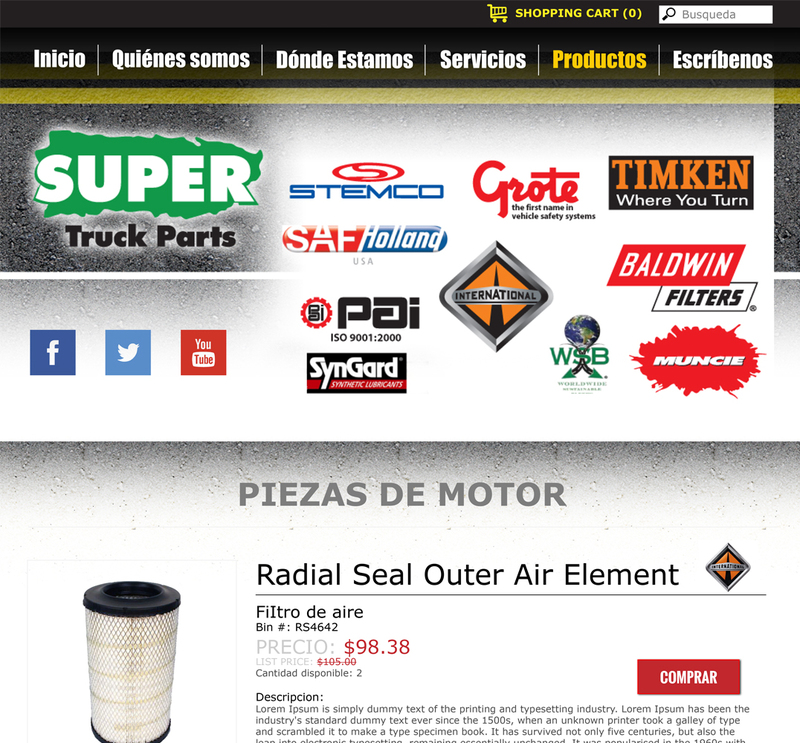 Its bilingual website, designed by our agency, possesses an excellent shopping cart with a wide variety of leading products and a great array of services. 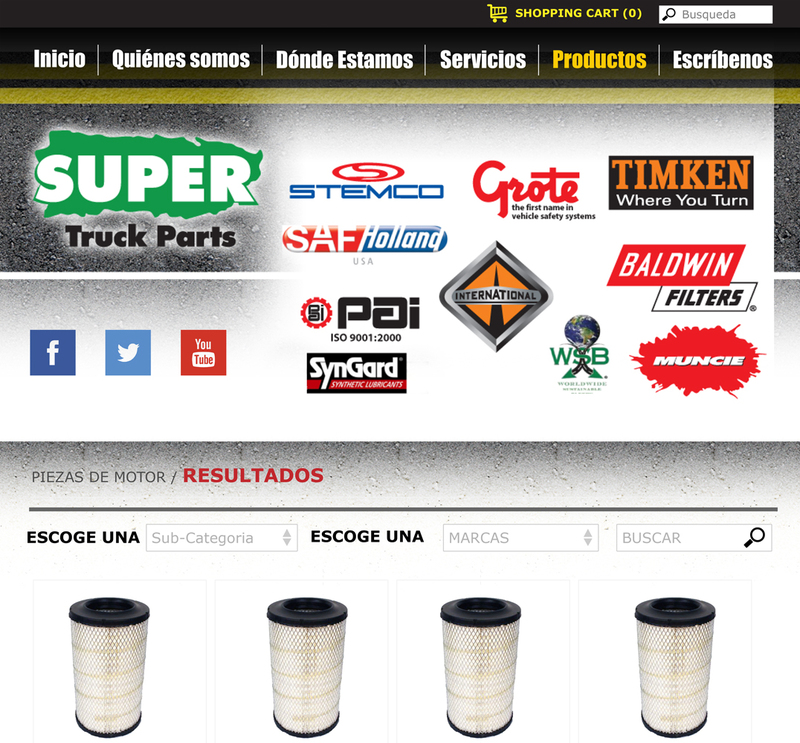 Super Truck Parts features a very hands-on business style, believing in the power of personal attention and thus they refuse, for instance, to install an automated phone system (someone will always pick up the phone at any of their eight stores located throughout the island), a laudable position during these pre-programmed computerized era.